Available with us is an exclusive range of Sewing Thread Winding Machine that is highly appreciated by our clients for its excellent performance and durability. 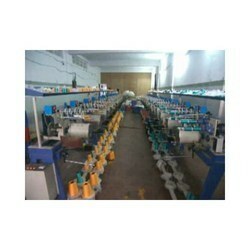 Offered art competitive prices, these Sewing Thread Winding Machine can be custom-made as per the specifications provided by the clients. 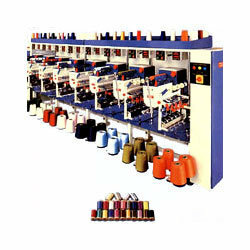 With the help of our expert team members, we have been able to provide Thread Winder. This machine is mainly using for heavy weight materials and has double capacity hook for more number of thread winding, the frequent bobbin changing work is reduced. By adopting a machine frame structure designed to obtain optimal balance and upgrade strength and rigidity the machine runs with reduced vibration and noice.